Kickstarter, the wildly successful crowdfunding website, is currently hosting two nautical themed projects. 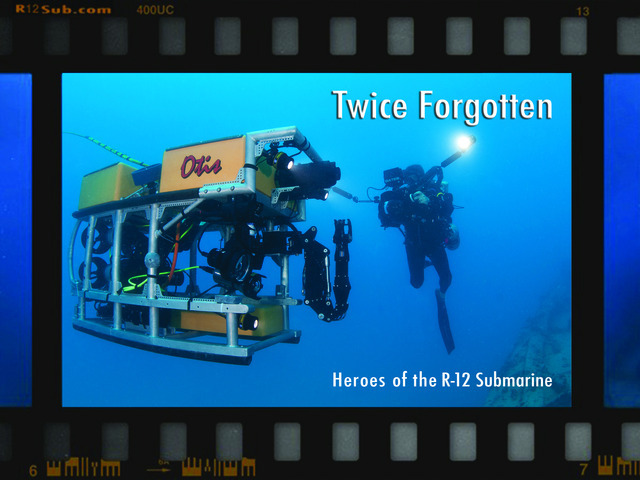 The first is “Twice Forgotten,” a documentary about the USS R-12, a training submarine that sank off the coast of Key West, Florida seventy years ago today. Forty US sailors and officers as well as two Brazilian officers went down with the sub and it was not until 2010 that she was re-discovered. Funding will allow the team to return to the site and conduct filming this summer to complete the documentary. Instead of seeking to tell a true story from the past, the second project aims to produce a fictional film about a World War II submarine and its mysterious disappearance during the war. The film team has partnered with Battleship Cove, the home of the battleship USS Massachusetts and submarine USS Lionfish, to provide a filming location. If the project is funded, then the remaining half of the project’s expenses will be covered and the filming will be able to proceed as planned.